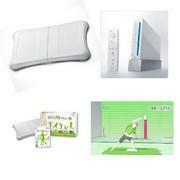 Wii Fit. Includes balance board and software. Does not include Wii system.